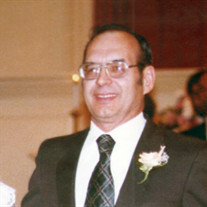 Vincent Carl Wood formally of Arlington, VA passed away February 6, 2019 due to complications from cancer. He is also the beloved husband of Margaret Harris- Wood. The family of Vincent Carl Wood created this Life Tributes page to make it easy to share your memories.